“Basic device information, quality-related information, app compatibility, and Windows Store. When the level is set to Basic, it also includes the Security level information.” It’s not clear what “Windows Store” means, but I think it’s reasonable for the owner of the store to collect data about what you download from it. Along with the new settings, Microsoft is further reducing the amount of data collected by the basic setting. And they want users to know that regardless of your data collection choices, they will not use the contents of your email, chat, files, or pictures to target ads to you. Drilling down into specific data that is sent to Microsoft gets overwhelming quickly; a lot of different “fields” or bits of data are collected. But most of the brief explanations of what each bit of data collect means are comprehensible to laypersons. One field that may concern the less scrupulous user is “GenuineState - retrieves the ID Value specifying the OS Genuine check.” Yes, of course Microsoft wants to know if you have a pirated or hacked copy of Windows 10. If GenuineState equals “no,” the user will get a polite but firm alert and an opportunity to buy a genuine Windows 10 license. Should You Choose Basic or Full? Software Setup and Inventory data: “Information about apps, drivers, update packages, or OS components installed on the device,” and information about what Windows Update has done. It isn’t clear whether this is limited to Microsoft software or if it includes all software installed on your device. Content Consumption data: “diagnostic details about Microsoft applications that provide media consumption functionality (such as Groove Music), and is not intended to capture user viewing, listening or reading habits.” This data collection seems to be limited to Microsoft apps, so if you use another company’s apps they should not be monitored by Microsoft. Browsing, Search and Query data: “details about web browsing, search and query activity in the Microsoft browsers and Cortana, and local file searches on the device.” Apparently, Microsoft does not receive browsing data from browsers other than Edge and Internet Explorer. Disabling Cortana as much as possible should minimize its snooping and telemetry. But users can no longer disable Cortana completely, or remove it from Windows 10. Inking, Typing, and Speech Utterance data: the data collected pertains only to the performance of these Windows 10 functions and does not include the content of what you type, speak, or use a pen to draw/write. Things such as errors in speech recognition or response latency (how long it takes to translate a spoken word into an action) would be included for diagnostic purposes. This category also includes a field that indicates whether it is known that a child (under age 13) is a user of the device; I guess Microsoft had to put that in some category. Licensing and Purchase data: not about Windows 10 itself; that check is made in the Basic or Full levels. This data concerns licensing and purchases of third-party apps from the Windows Store, including details such as special offers used, price paid, duration of subscription, etc. It seems to be data that Microsoft needs to give you what you bought for as long as you’re entitled to use it, and nothing more. What you do or create with your apps is not shared with Microsoft. Overall, Microsoft does not seem to be "spying" on users, except when they use Microsoft apps such as browsers, Office, Groove, and so on. Then more data about what you’re doing with MS apps will be collected, so if you want to keep such data private you use non-Microsoft alternative, or stick with the Basic level of diagnostic telemetry. 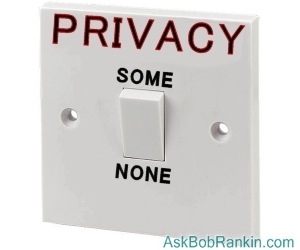 To change your privacy settings in Windows 10, go to Settings -> Privacy. Move the slider next to Diagnostics from Full to Basic, and if you want to go further, you can turn off collection of location, speech recognition, "Tailored experiences" and "Relevant ads." Microsoft also offers a web-based privacy dashboard. After signing in with your Microsoft account, you can go to account.microsoft.com/privacy to review and clear data such as browsing history, search history, location activity, and Cortana’s Notebook – all in one place. Most recent comments on "What Data Does Windows 10 Collect From You?" Does "comprehensible" sound ok in this context? "But most of the brief explanations of what each bit of data collect means are comprehensible to laypersons." Interesting note: I updated to Windows 10 when it became available and I never checked this setting; I just did and found it came through at "full". Ticked me off. I didn't set it that way. 'yall might want to check yours if you updated on line. Nope, the correct punctuation should be: "means" and "are." Sorry, my old editor habits have reared their ugly head again. for Bob Connors: The thing that you corrected me on was actually meant for Steve. I apologize for not being more definitive. Steve was asking if Bob Rankin had used proper context and I was simply saying "sounds good to me" not necessarily "It adheres to proper Grammar" I was being a bit snide. I will say, regarding W10 stealing things, that at least they are telling us they are stealing it. What about the things they don't tell us about? Hi Bob as always a good article, but you crack me up..."The Basic level collects only data that is essential to keeping Windows 10 running smoothly." A few days I asked when ms was going to repair "System Restore"; they broke a few months ago...Is this the smooth running we have come to expect from bad updates from a company that has no QC or QA? My windows 10 upgrade is on a desktop PC I built and there is no microphone, sorry Cortana, can't talk to you. But I will still check my settings just to be sure! Thanks Bob for the info! I have just upgraded my 11 Windows 10 computers to the new Creators Update, Build 1703, Build 15063.13 ... yes, I know it "officially" isn't available until next week, but Microsoft has made it widely available early. I've had no problems updating (other than a Windows 10 tablet with only a 64 GB drive had to have some files removed to make necessary room for the new OS). And during that update, I was requested to allow or disallow certain information going to Microsoft. I disallowed everything, and after installation, I went into the Privacy Settings and found that all computers were set at the "Basic" level. It takes about 15 seconds during installation to do this. I suggest everybody to do this when they install Creators Update. I am in the process of converting my system (mostly MAC but some Microsoft) to using a VPN (virtual private network) for all of my internet communications. Could Microsoft be thwarted by my having this done? Information has pretty high value, right? So why nobody values their information that Microsoft now collecting for free? Actually you yourself even pay Microsoft for that. You pay for operating system that spying on you. But I think, pretty logical to get something back for that mandatory option - I would suggest to get some money back for elevating amount of info that Microsoft could get about you. For example, Basic level is free for Microsoft, but in case of Full level they have to pay you for that extra access to your personal data. It can be discount for Microsoft Store, but anyway, if somebody give some thing that has some market value, it has to be rewarded. Remember, the Windows Operating System is already paid in full. Everything else comes to Microsoft for free. That means they continue to rip you off. Do you feel it's ridiculous? But in the Internet you have right to opt-out of any info collecting (at least it is claimed by opt-out programs). Why Microsoft is above law? So if it doesn't give us any option to opt-out, it has to pay for that. Mr. Rankin, Thank you for the timely reminder. @RussCoover >> I don't think it is advisable to 'suggest' to everyone to use the "Basic Level", since "Users have become the Product"! I upgraded to 10 when first available then beside all the functions it screwed up an email address that normally was free of spam started to fill up. I reverted back to my original os. It sounds like time to re-investigate Linux. I still use much loved W7 with the GWX program given freely by The Ultimate Insider which held off the forced W10 takeover. Still does although read on a forum for W7 that MS has now disabled this program used by millions of W7 stayers who wont have a bar of 10. Its not really a desk top OS more for social media via tablets etc or smart phones.I may be old fashioned in thinking no company gives away billions that a roll out of W10 would have brought into their coffers without a means of doubling it via free forced and reading selling off our data or some way of recouping those lost billions of $ surely. Also they said no longer in business of launching new versions. Yeah right! Who wants to buy a lovely bridge going cheap? Will be worth more in coming financial crash all the economic writers of investment advice is coming.You know pay $7.95 for the book free and find $99 yearly sub on your credit card later. Thanks Bob for timely help always. Well, the only reason they want this is because they try to justify their greediness for our information and spy on us. They don't need this information from everyone in the world. Secondly, if a hacker manages to read the information you send to Microsoft, they automatically get all this information as well, which means they know what you run and how to bypass your security. I don't feel comfortable at all sharing anything with Microsoft. Just another way to spy on you and destroy your 4 GB data plan every month. Just send a copy of your hard drive directly to them via unregistered mail. that be the same thing. And no security is perfect. doesn't matter how many updates they roll, there's always a better hacker out there breaking it. Only difference is, this time if they screw up, it will cost a lot more people. its only a matter of "when".